The Horror Honeys: Honey Buzz ~ Kino Lorber Forms a New Cult Film Streaming Service! Honey Buzz ~ Kino Lorber Forms a New Cult Film Streaming Service! For over 30 years, art hours distributor Kino Lorber has been a leader in remastering and releasing seemingly-lost and cult films. Now, the company as paired with VHX, an internet distribution platform, to bring you Kino-Cult and frankly... it already looks incredibly awesome. For a rental fee of $6.66 (good on ya, Kino! 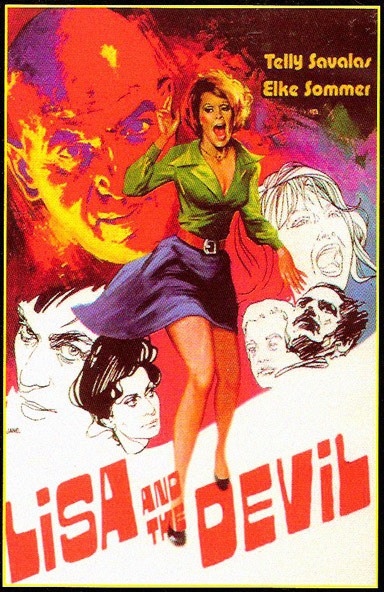 ), you can stream a host of fabulous cult films at Kino-Cult, from Bava's Hatchet for the Honeymoon to Jess Franco's The Awful Dr. Orlof. Additionally, Kino-Cult is currently offering a limited-time $9.99 bundle back of four films, including Hatchet for the Honeymoon, Night Tide, The Asphyx, and The Iron Rose, all from industry renowned (or in some case, infamous) cult directors. You can watch the bundle trailer below and follow @kino_cult as they make their official debut at New York Comic-Con! Will you be checking out Kino-Cult? Let us know what you think of this latest streaming service!